Zortrax is a manufacturer of 3D printing equipment: printers, filaments, spare parts. The Zortrax brand was created in 2012 in Poland, Makershop3D is an official dealer for Zortrax and ensures the sale, distribution and warranty of Zortrax machines. 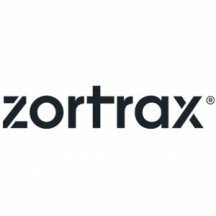 Find all the Zortrax products available, all new Zortrax products will be added to this category. The brand offers everything you need for the entire process of 3D printing with proprietary filament spools. Zortrax machines use only proprietary consumables of manufacturer origin. Zortrax and Makershop3D have been partners since 2012 for the sale and distribution of machines. You can buy Zortrax machines while having a reliable after-sales service directly provided by 3D printing professionals with a complete understanding of Zortrax 3D printers. Zortrax printers are reliable and designed to last over time, they allow you to produce quickly and achieve professional quality pieces. These printers are designed to carry out secure printing and facilitate user control. Zortrax printers have an excellent price/quality ratio, in fact these professional quality printers are reasonably priced and require low maintenance making them the best solution for your budget and for your projects. In order to guarantee the best print quality, and optimum operation of your machine, Zortrax has opted to use proprietary filament for its machines, in other words Zortrax printers are only compatible with the brand's own filaments, these filaments are of high quality and adapted to the various needs of Zortrax users. Furthermore Zortrax is constantly innovating in order to offer customers filaments with unique and specific characteristics. Find the Zortrax product range at the best prices on our online store for 3D printing. The Zortrax tests and reviews come from customers who ordered and received Zortrax products and these opinions have been verified by an independent third party. You will find all the technical specifications for Zortrax machines on the product sheets. Side panels and door (Pack of Side Covers) to keep the printing zone at a constant temperature to improve the style and finish of your 3D prints with the Zortrax M200. Replacement nozzle for the Zortrax M200 and M300 3D printer. This 0.4mm nozzle fits the Zortrax M200 and M300 printers. Sold individually. The Hot End Pack for the Zortrax M200 and M300 contains all the elements of the 3D printer extrusion system. This pack is only compatible with the Zortrax M200 and M300 3D printers. Spool of Z-GLASS for the Zortrax 3D printer. Z-GLASS is a thermoplastic copolyester blended with glass fibres. Comes in an 800g spool.